Twin Lakes Church isn’t made up of the buildings on campus or the programs that happen here — the church is the people in it. This diverse community consists of people from all walks of life in all stages of life, and there's a place for you! It's all about relationships: your relationship with Jesus Christ, and your relationships with others in the community. 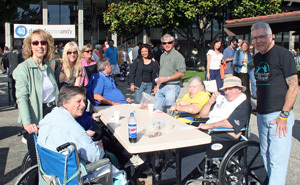 In addition to the community life at TLC is our desire to serve to the community of Santa Cruz County. Through local outreach ministries and events like the Food Drive or Christmas Concerts, we want to provide opportunities where you can experience the joy of serving the people of our community.